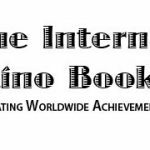 We’re pleased to announce two University of Arizona Press books were honored at this weekend’s International Latino Book Awards, which over the last 19 years has grown to become the largest Latino literary and cultural awards program in the United States. Migrant Deaths in the Arizona Desert: La vida no vale nada took home First Place in the category of Best Nonfiction Multi-Author. The book addresses the tragic results of government policies on immigration and asks why migrants are dying on our border? The authors constitute a multidisciplinary group reflecting on the issues of death, migration, and policy. Poetry of Resistance: Voices for Social Justice, edited by the late Francisco X. Alarcón and Odilia Galván Rodriguez, secured First Place in the category of Best Poetry Book Multi-Author. The edited anthology offers a poetic call for tolerance, reflection, reconciliation, and healing. Bringing together more than eighty writers, the collection powerfully articulates the need for change and the primacy of basic human rights.